Hip hop mega producer and rapper Swizz Beatz addressed the rumors about his affair with R&B singer Alicia Keys. Swizz Beatz was married to R&B artist Mashonda. The couple have a son and announced they were getting divorced. The rapper says the Alicia Keys affair rumors aren't true and people get divorced every day. Mashonda gave an interview with Hip Hop Weekly and blamed Alicia Keys for the problems in her marriage with Swizz Beatz. According to Vibe Swizz Beatz and his wife R& B singer Mashonda have split and are calling it quits. The couple have a son Kaseem Dean Jr. and plan to stay on amicable terms. We're sad to see the couple split up. They are a nice looking pair. Swizz Beatz and his wife, R&B starlet Mashonda, has decided to separate. The couple were an item for four and a half years. The two reportedly met in 1998, when Mashonda was still a young budding singer. 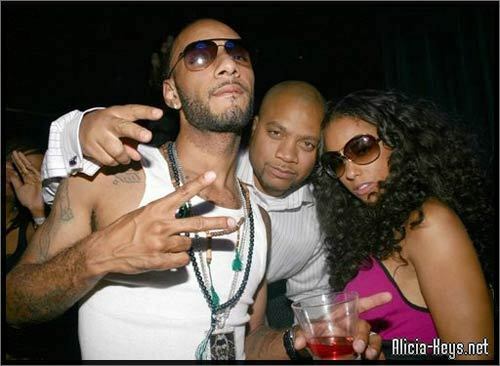 Swizz took her underneath his wings, and allowed Mashonda to write hooks for artists ranging from Jay-Z to Eve, and croon on tracks with Cassidy and Mya. Mashonda was eventually signed to Swizz label, Full Surface / J Records. During their time together, both seemed like the model happy hip hop couple, going so far as releasing press releases for the birth of their son, Kasseem Jr., who enjoyed a star-studded baby shower.